This wonderful, profusely illustrated book provides a concise and thoughtful review of all the important diseases of the child's brain. The lesions are well organized into logical categories that help the reader to remember the information conveyed. The important features of each entity are discussed thoroughly. Data from the literature are documented by selected references and are clearly distinguished from the authors' personal experience. The gross pathology of each disease is illustrated by well selected, high quality CT scans and supporting neuroradiological studies. Each caption begins with the relevant clinical data, so the reader understands the clinical context in which the study was obtained. The caption then describes the specific CT features of the case, so the reader learns to interpret the images correctly to arrive at the final diagnosis. By this technique, the authors provide the reader with a large experience in all aspects of pediatric cranial CT and teach him to distinguish properly among the diverse disease states. The authors must be congratulated for their excellence and their me- ticulous attention to detail. 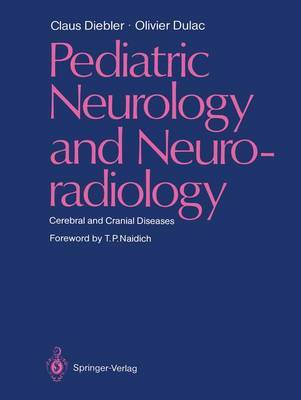 They have written an important book that brings together the fields of pediatric neurology and pediatric cranial CT, enhancing both. This volume is a necessary addition to the personal and professional libraries of all physicians who care for children: pediatri- cians, neurologists, neurosurgeons and radiologists. I feel I am a better physician for having read this text.